Nemo, an adventurous young clownfish, is unexpectedly taken from his Great Barrier Reef home to a dentist's office aquarium. It's up to his worrisome father Marlin and friendly but forgetful regal blue tang fish Dory to bring Nemo home -- meeting vegetarian sharks, surfer dude turtles, hypnotic jellyfish, hungry seagulls, and more along the way. 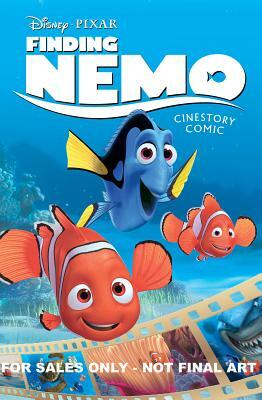 Fans of Disney•Pixar Finding Nemo will love this full-color, graphic novel-style re-telling of the film from Joe Books.